As an added bonus we have prepared a mock exam engine that will simulate the process of taking the exam. The engine will present questions from the book and score answers in a way that is similar to what you may expect on the real exam. The mock exam engine is available as both a JAR and ZIP archive. Download the engine from the hyperlink above, and store the file on your local computer. Depending on which web browser you are using, you may need to perform certain actions to make the browser download, rather than view the file. Some browsers will let you download the file by holding shift and clicking on the link. Some people are apparently having problems with browsers that fail to recognise the JAR archive as a binary file, and attempts to perform Unix to DOS/Windows plain-text conversion before saving the file. The result is that the saved archive is corrupt. We therefore also provide the option to download the archive as a ZIP file. The JAR format is compatible with the ZIP format, so both files are identical, only the name differs. If you download the ZIP file, you can either change the name of the file to pgjc-engine.jar or simply use the name pgjc-engine.zip instead of pgjc-engine.jar in the instructions below. Place the pgjc-engine.jar file wherever you want on the filesystem of your local machine. No additional installation is necessary. 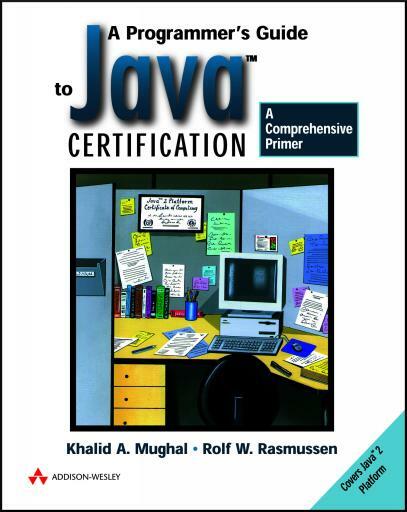 You will need to have Java 2 properly installed on your machine, in order to run the mock exam engine. Earlier versions of Java, such as 1.0.2 or 1.1.x will not work. Either run this command from the directory containing the pgjc-engine.jar file, or replace pgjc-engine.jar with the fully qualified filename of the archive you downloaded. Also, ensure that the java command is runnable from the commandline, either by using the correct PATH settings, or by supplying the fully qualified filename of the java command. If all goes well, the mock exam engine program should appear. On some platform configurations, it should be possible to launch the program simply by clicking or double-clicking the icon representation of the JAR archive. This is for instance possible on the Windows platform with JDK 1.2.x properly installed and configured. If you no longer wish to have the program on your computer, simply delete the pgjc-engine.jar file.